Directory listings with guides to the top sites for job seekers and those starting new careers, including where to find employers and general career advice. 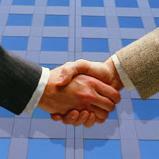 Business directory of employment agencies and work hiring agents located in Florida. Retail Merchandising Jobs. At Acosta, we grow leaders who are committed and dedicated to our clients. Find out if there is a position for you Acosta. Using the list of careers on this site, learn about more than 1,000 professions organized alphabetically and by job industry. Website includes career descriptions, salary information, and education required for each individual career. A computerized network between the US Department of Labor and the state operated public Employment Service. Free to post and use. With a passion for results, thereâ€™s no limit to how far you can go. We began by establishing a culture that rewards results; and as a result our growth has been exceptional. Job search engine in New Zealand. Careerjet.com - jobs search engine for the United States. Search jobs from more than ten thousands of web sites. The online portal to Environmental jobs, internships, education, courses, and articles. JOBSinWORLD.COM contains Jobs in Usa job vacancy. It is free. Jobbook is a membership-based website that helps you connect with jobs and career resources matched to your profile.